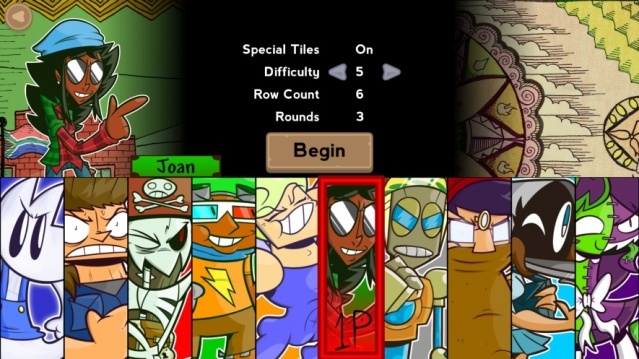 The story is rather forgettable as is expected from a title in the puzzle genre, however the gameplay is quite unique! 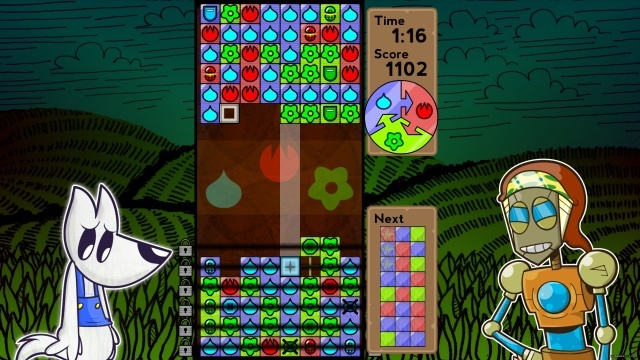 Basically you must destroy your opponent's blocks, fire, water, and plant with opposing blocks in a sort of rock-paper-scissors tug of war, however you and your opponent can shift your blocks around at any time which really adds to the strategic elements of the game, especially during multiplayer matches! There are a few issues as some areas of the options menu are inaccessible due to a bug, including the setting for color-blind mode which is quite a shame. The controls on the other hand are pretty good and are a snap to learn and the Off-TV-Play is always a welcome feature! Visually the game looks very low-budget and it feels more like a cheap to free iphone title in that regard. The music on the other hand is fairly good and fits the game well, but even that is marred by excruciatingly annoying voice acting so the audio-visual presentation in a nutshell is definitely below average. 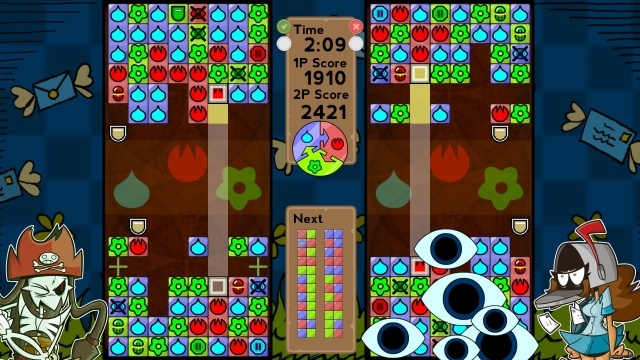 With unique gameplay that can be great fun especially during multiplayer matches, great controls that are easy to learn, and decent music that fits the game quite well, Blockara is a great puzzler that most fans of the genre should enjoy, however lackluster visuals, slightly annoying voice acting, and a broken options menu do hurt this game's overall score. Even so Blockara still gets a decent level of recommendation from us! Looks good, but I'll pass.